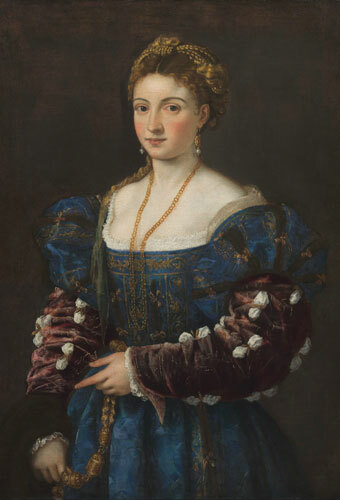 The Museum’s popular Masterworks|Portland series continues with an exceptional painting of Renaissance Venice, Titian’s La Bella (Woman in a Blue Dress). The luminous La Bella is a classic portrait of a beautiful woman that illustrates the continually evolving and infinitely elusive ideal of beauty. La Bella has never been exhibited in the United States and Portland is her only West Coast appearance. The painting was recently cleaned and conserved in Florence, returning La Bella to her original glory. A color catalogue accompanies this single-painting exhibition and not only describes the historical significance of the work but also details the recent conservation project. This exhibition is organized by the Kimbell Art Museum, Fort Worth, in collaboration with the Foundation for Italian Art and Culture, New York, and is supported by an indemnity from the Federal Council on the Art and Humanities.